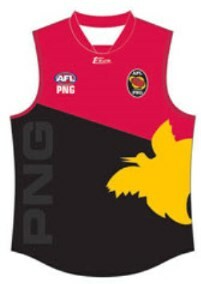 AFL PNG Mosquitos (men's team) returns to contest their fifth AFL International Cup - one of a select group of nations to contest each tournament thus far. A team that whilst raw in 2002; managed to win through to the inaugural grand final only to fall short to Ireland. Since then the Mossies have contested each decider losing in 2005 to New Zealand; breaking the drought for a mighty win in 2008 in a rematch against the then NZ Falcons. And then in 2011 again came up short against the Irish. It's a proud heritage of participation and no doubt there would be an expectation of at least a top 4 finish and a reasonable hope of again competing in the final. The AFL PNG Mosquitoes are one of the powerhouse international countries competing at the 2014 International Cup. Always ranked in the top two and playing in every grand final since the inception of the Cup in 2002 (winning in 2008), PNG is a team to watch out for. With a continued strong development and talent program, including Australian Scholarships, and a blossoming Port Moresby Competition (fuelled by junior development including the Port Moresby Academy), the equal of any in Country Australia, the PNG Mosquitoes will perceive not making the decider a step backwards. Barring injuries and the ever present issue of immigration, the Mosquitoes should make it through to the semi-finals and find out against the other heavy weights Ireland and New Zealand; and the improving and dangerous Nauru and USA if there has been improvement over the last three years. Consistent exposure for many to strong Australian competitions, ongoing improvement and success at Junior National and International level and the quality of the Port Moresby competition has the Mosquitoes primed for another tilt at the title. The squad of 30 is the youngest ever assembled with an average age of just over 21 years old. With many of the older greats of PNG football retired, and many of recent stars including AFL listed David Meli, Peter Labi and Stanis Susuve unavailable, a new batch of PNG players are ready to take to the stage. Experienced Mentor, David Lake, comes into his second International Cup campaign as Coach with a far more settled squad and in a far better position after the tumultuous and sad 2011 campaign. Surrounded by a strong staff, the Morningside (Queensland State league) Coach has emphasised that PNG play to their strengths and enjoy the moment. AFL in PNG has been the number one code during the 50s, 60s and 70s with the VFL (AFL) holding a exhibition match in Port Moresby and PNG competing in the 1979 Teal Cup Competition in Australia. 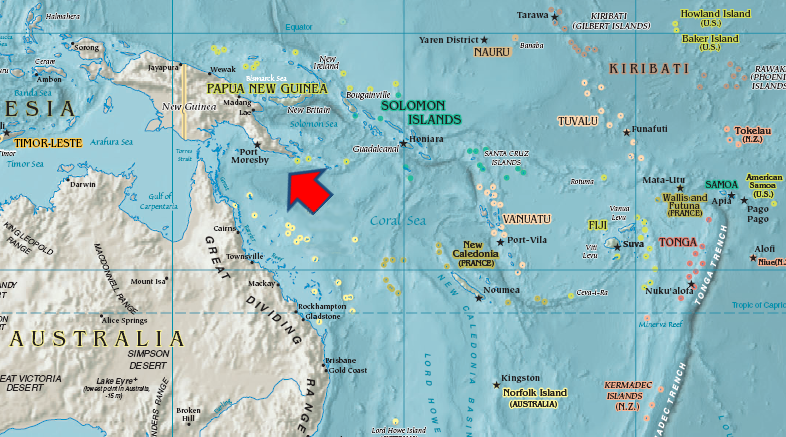 The developing country has close ties with Australia until it gained Independence in 1975. AFL has always been played and the resurgence since 2000 under the stewardship of AFL PNG has seen an amazing regrowth in the game. With over 40,000 players in organised competitions and over 40, 000 more in school programs, AFL in PNG is growing strongly. With PNG in the middle of a financial boom and interest at an all time high Australia’s close neighbours - all 7,000,000+ of them - continue to provide strong sporting squads, especially in AFL. As always, the PNG Mosquitoes greatest strength will be their depth of squad with all players having the opportunity to play quality football, either at home or in Australia. With every player in the squad coming through AFL PNG’s Talent Pathway and two thirds of the squad having played full time in Australia over the last few years. Quality players like Donald Barry (Lions Rookie), John James (Aspley NEAFL), Emmanuel Tupia (Redlands), Amua Pirika (Suns Scholarship), Gideon Simon (Richmond Scholarship) and Brendan Beno (Lions Scholarship), will have the class whilst senior players Emmaus Wartovo, Willy Aisi, John Ikupu, Greg Aki and Paul Phillip all played in the last losing Grand Final. Complimented by young guns Luke Savere, Kataha Siwee, Greg Ekari and Theo Gavuri, the squad has a quality list. The unknown will be the age and experience of the squad with many youngsters playing their first International Cup. The lack of preparation as a squad could also be an issue but will probably be covered with the new format of the draw. “Regular contact with our Australian based players and the quality of the PNG based squad has seen all the squad prepare professionally for the Tour. The challenge was to cut the squad to 30 with so many new players putting their hand up to be part of the team. We are looking forward to being involved in this great tournament and we will continue to play exciting, skilful and hopefully successful brand of football." Gideon Simon: Former Richmond Scholarship player who is now playing at Swan Hill. 19 year old mid fielder with silky skills and big motor. Brendan Beno: Former Lions Scholarship player and Redlands State league. Ball magnet who kicks goals off both feet. Emmanuel Tupia: Strong running CHB who spent three years at Redlands and has a racking kick and strong mark. Donald Barry: At 25, one of the older statesman of the squad. Three years on the Lions list as a hard working half back who controls the game and kicks with precision. John James: Exciting and Tough. Current Aspley (NEAFL) player who will captain the Mosquitoes and lead from the front. John Ikupu: West Coburg ruck-man who has an amazing leap and work rate. Underrated and happy out of the limelight. Amua Pirika: A very strong full forward coming off the Suns Scholarship who can kick long goals from any angle. Leading goal kicker in the Port Moresby competition. The AFL PNG Mosquitoes have been seeded second after their grand Final defeat in 2011 and will be looking to go one better. Although as a squad PNG does not play many Internationals, individually their players are all exposed and have strong AFL experience. With a young and exciting squad that on paper is a lot more balanced and has greater depth than 2011 and even 2008 the Mosquitoes will be disappointed with less than a Grand Final spot.